We all saw it coming. Just as Acura’s racing season wound down, the 2017 NSX started making competitive appearances across the country. 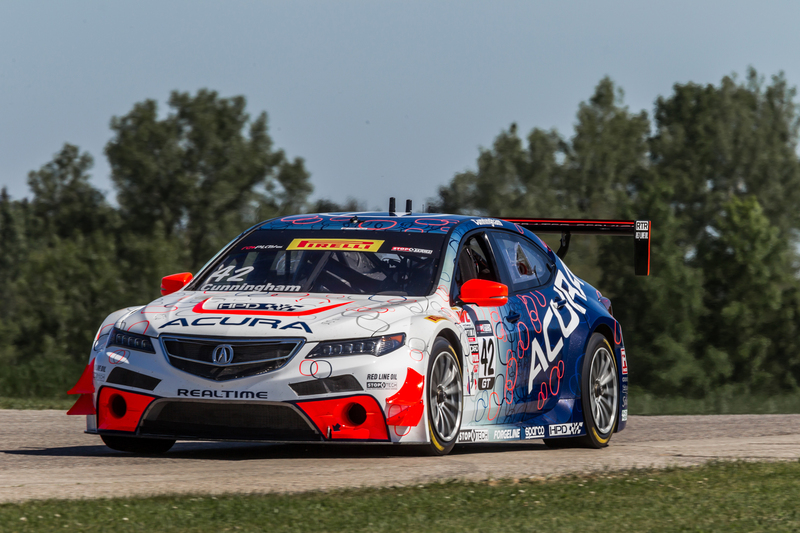 Sure, the TLX racecar has reached the podium 5 times in the last two seasons. But the NSX is dropping jaws, setting auction records, and raising pulses everywhere it goes. And just as anyone monitoring Acura racing would have guessed, Acura has retired the TLX GT, and announced the arrival of the NSX GT3. For the TLX, retirement might not be so bad. For one thing, the faster, nastier version of Acura’s mid-sized sedan will now live forever in Honda’s collection of former race vehicles. That’s a pretty impressive feat for a car that we love in its stock form because of its quiet ride, smooth shifting, and value proposition. Someday, the NSX will also be retired, and a $200,000 car will sit next to one that you can get fully loaded for around $40,000. Way to show off that value proposition we like so much, TLX. But for Acura racing fans, the retirement of the TLX from competition is rendered exciting simply because it’s replacement is the most exciting car Acura has ever made, outfitted to be even faster and nimbler than the supercar that’s had us licking our chops for years. It’s hard to see your favorite athlete retire, but if his or her replacement is faster and taller? Chances are you’re looking forward to next year already. So if you see a TLX on our lot in the near future, consider offering a salute. It may have given over the reins to a more skilled competitor, but it held its own at a time when Acura needed a production vehicle to prove that Honda’s racing pedigree wears an Acura badge. And while the TLX may not have been the world-conqueror that the NSX looks poised to be, it won races, turned heads, and proved that the single car Acura designed to replace two previous models can hold its own just fine. The TLX’s retirement party might be drowned out by its replacement’s exhaust note, but it still deserves some respect. « Acura ILX or Honda Civic?